Dowry dilemmas - sister-hood magazine. A Fuuse production by Deeyah Khan. Whether you call it a tradition or custom, but giving wedding gifts also known as dowry to daughters has been followed, consciously or unconsciously since ages unknown within certain cultures. From one perspective, these gifts are a good-will gesture from parents for their daughter, as she leaves them to make a new home of her own. There is, however, a scenario in which the gifts are demanded by the groom or his family, where they assume it is right to obtain cash in exchange for their son’s hand for the lady. It may involve blackmailing through threatening to reject the proposal, or dishonouring and disrespecting the girl’s family. When a girl is born in our region of Pakistan, the parents’ first thought is to start saving for her ‘big day’. Generally, people don’t mind giving as much dowry as they can afford as a token of love to their beloved daughters, and those who place high demands from a girl’s family are usually frowned upon. Parents are happy to give the world to their daughters, but materialistic demands from the groom’s family are felt as a burden, especially when you have more than one daughter to find a husband for. 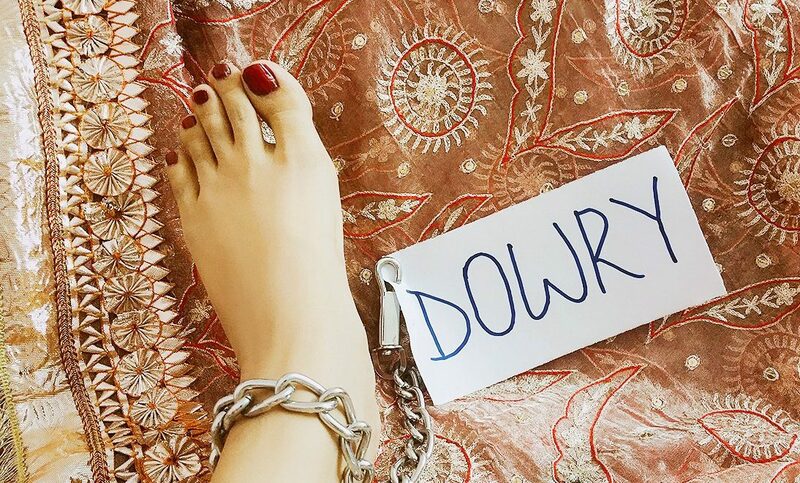 We rarely analyse the many perspectives and motives behind giving or demanding dowry. For feudal families, whose status depends on their control over land and property. When they arrange marriages for their daughters and sisters they give dowry as a replacement for girl’s share from the property, meaning that neither she nor her husband can make any claim over the land. In many families they even get an official release signed by the girl as well. In these cases, they don’t hesitate to fulfill demands from the groom’s family, such as a request for a car, but hold tight to their land! In the majority of cases, there is a great deal of unseen pressure from society: statements like ‘What will people say?’ and ‘our family honour is at stake’ and so forth. In many cases it’s a form of competition between the rich, who signal wealth within their circle by giving the best of the best. It is really disappointing that some people who think that the money they invested in their son’s education should be cashed in through dowry. They believe that the girl’s family should honour him with gifts reflective of his social status, in order that he can maintain a good reputation in his circle. If he is earning in lakhs (hundreds of thousands of rupees) then a car is expected gift to their future son in law from the bride’s family. If he has some authority within the government, then a plot of land is a cherry on the top. What they usually overlook is that the parents of an educated girl have invested in the grooming and education of their daughters just as much. I wish they could see beyond the price tag of their own sons. For me the burden of a wedding goes far beyond the dowry. There’s the guest list, finding the best catering in the town, the most fashionable jewellery, finding gifts for the groom’s family, organising a number of functions, each with hundred guests to be fed, the bridal dress, the shoes and so on and so on. Seriously there is no end to the efforts to organising a wedding. The pomp and ceremony that we, as a society, have added to the simple event of marriage is monstrous. This cannot be undone! As there is no stopping to greed same as the show-off nature. At an wedding amongst the elite, the groom lands in a helicopter, along with his family. As each wedding becomes the longest and the most expensive in town, this all only raises the expectations for each and every other prospective spouse. In Pakistan, almost every girl dreams of a fairy-tale wedding, and every parent wants to make the event memorable for each and every attendee of the wedding and every groom’s family wants to that they have taken a girl from a family who appreciates the worth of their son… but what they all forget is that riches and bling-bling doesn’t assure a successful marriage. Huda Sheikh is Blogger and Editor at sparklingpalette.com. 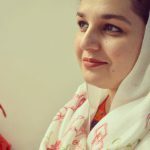 She is a Social Media enthusiast and a homemaker. Writing is her passion as much as baking and cooking are. She takes keen interest in social issues.